This is the user manual for MALACHITE. It explains how to build circuits, how to save and load files, and how to simulate digital logic. It should be enough to get you started using the software. Good luck! You can browse the user manual online, or download it in PDF format here. How do I build a circuit? A screenshot of the application window is below - please click on it to see what's what. 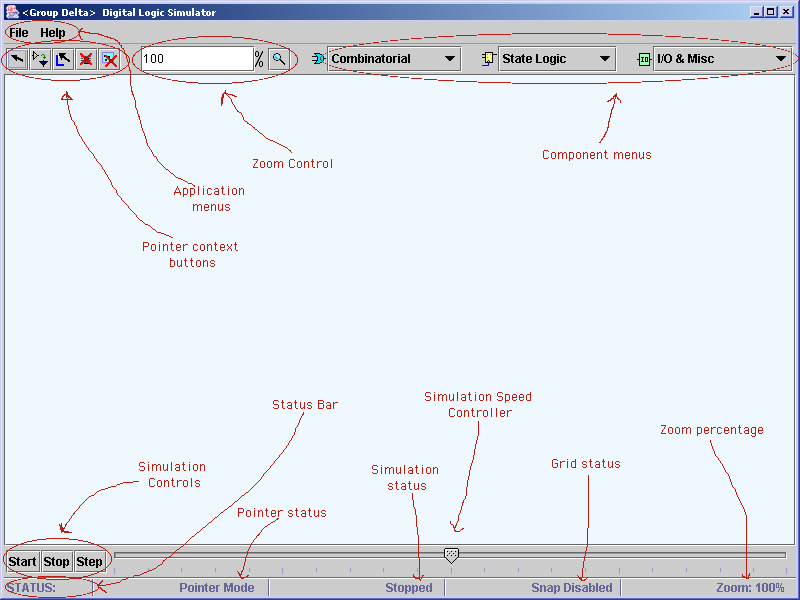 The pointer context controls appear top-left of the application window. Menus for choosing circuits appear top-right. At the bottom of the window are the controls for circuit simulation. Below them, right at the bottom, is the status bar.